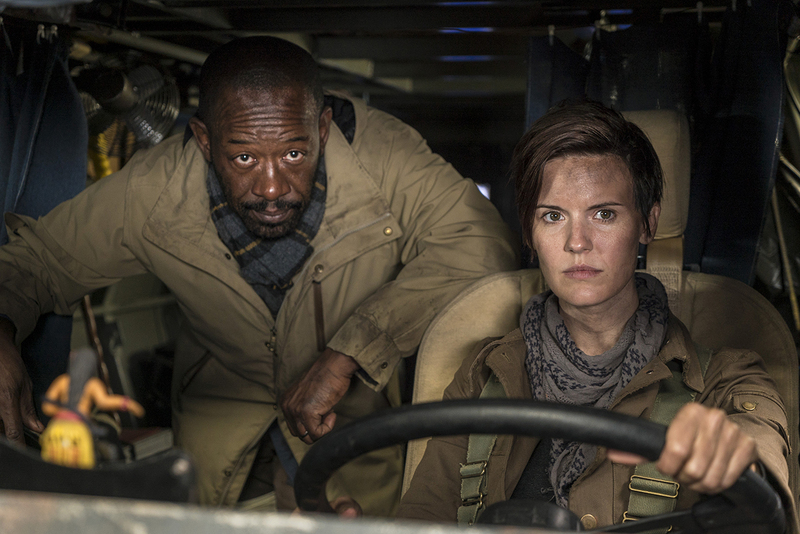 There were many loose ends left unravelling in the festive Season 3 Fear The Walking Dead finale “Sleigh Ride“. 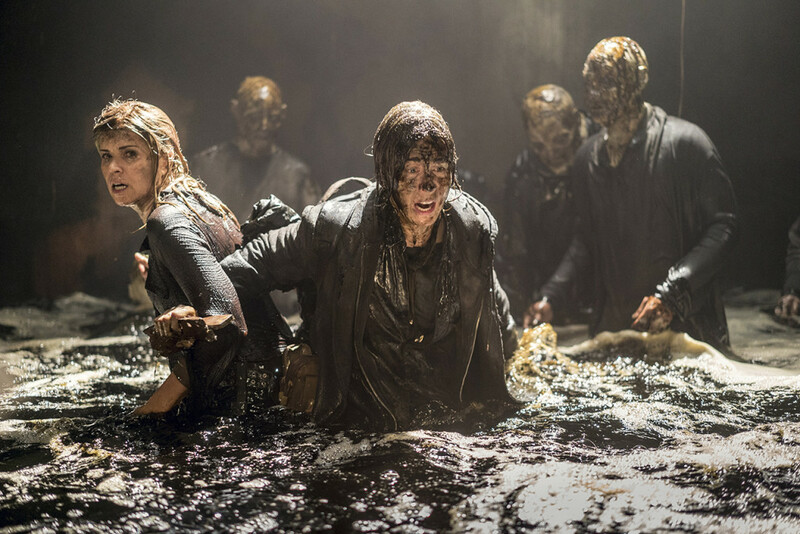 Nick (Frank Dillane) blows up the dam to ensure Strand (Colman Domingo), Alicia (Alycia Debnam-Carey) and Madison (Kim Dickens) make a hasty getaway in their rubber dinghy. However, the only main character that washes up ashore is Madison. After that explosion, is anyone else alive!? A new series heralds the arrival of a raft of new faces into the Fear world. 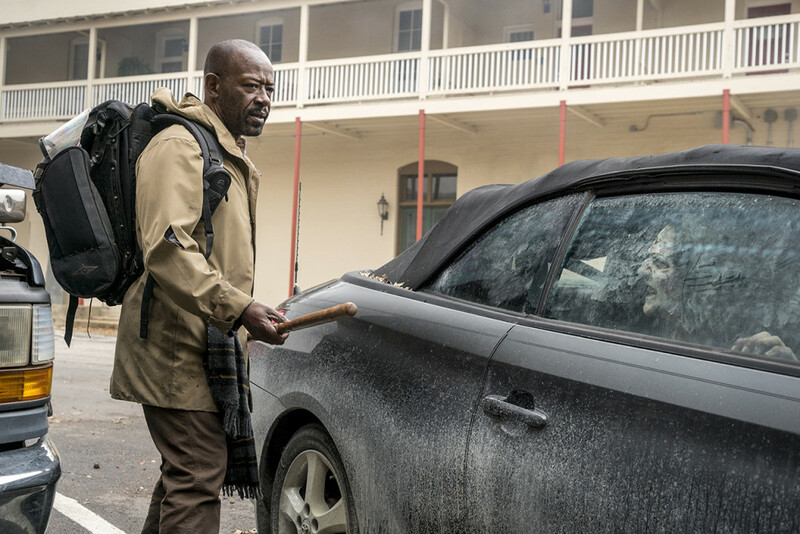 After months of speculation (and years of anticipation), Morgan (Lennie James) will be crossing over from The Walking Dead to Fear. 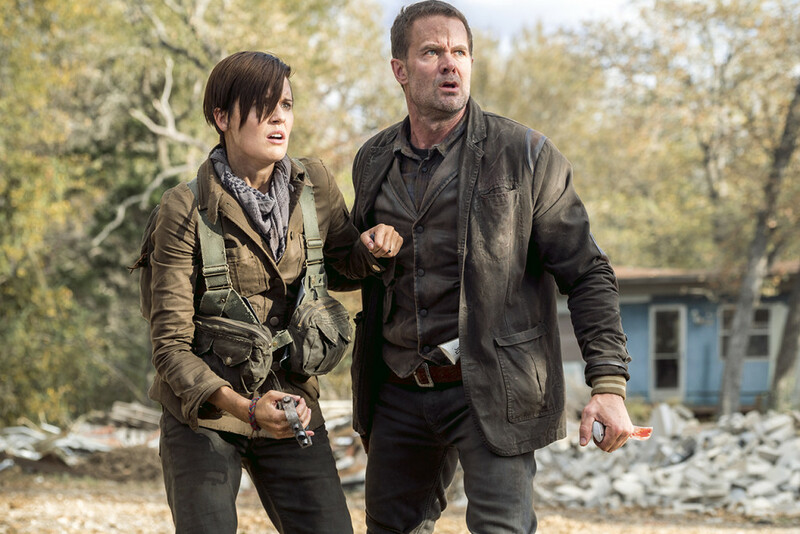 Joining him in the fight for survival are Jenna Elfman (Keeping the Faith, Dharma & Greg, Friends with Benefits), Maggie Grace (Taken, Lost, Californication), Garrett Dillahunt (12 Years a Slave, Deadwood, No Country for Old Men), and Kevin Zegers (Transamerica, Gracepoint, Dawn of the Dead). 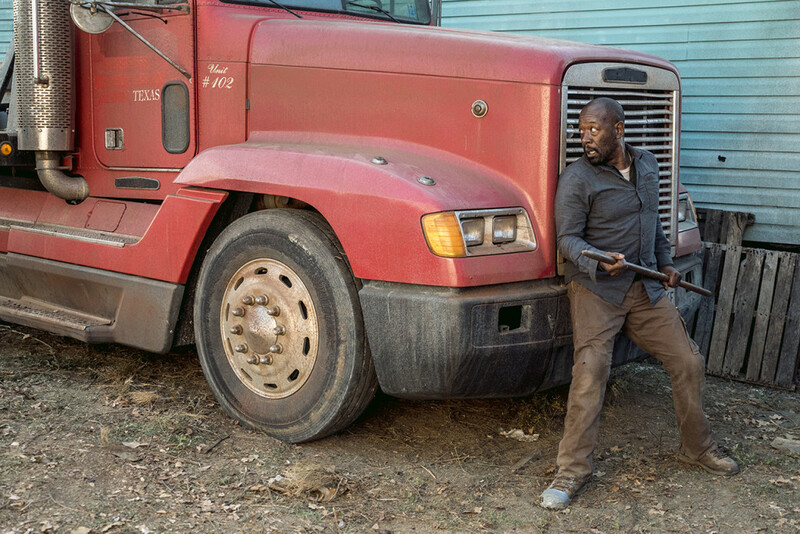 Check out the new crew in these Season 4 photos. 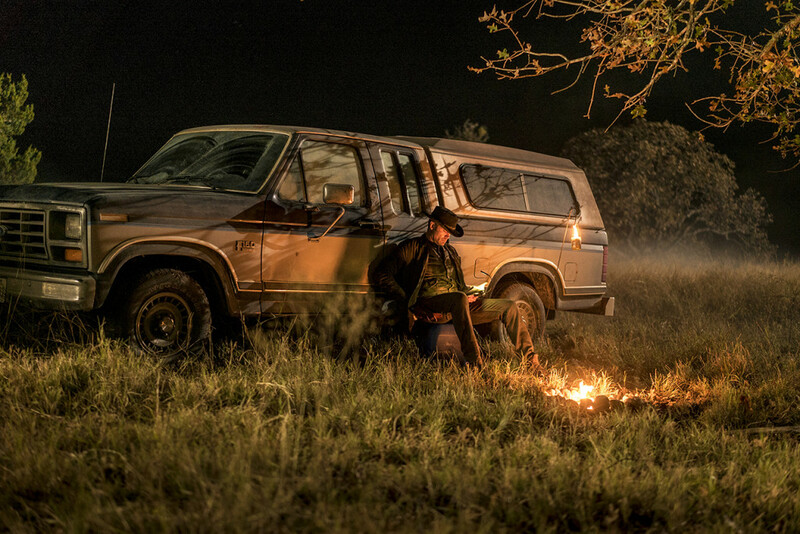 Season 4 Fear The Walking Dead premieres on Monday 23rd April on AMC UK. You can find AMC on channel 332 on BT TV and 186 on Sky for BT Sport Pack customers. The channel is also available in gloriously gory HD on both BT TV and Sky with an HD subscription.